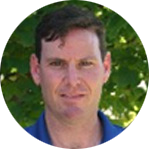 Chris brings an extensive background in elite tennis instruction, program development and club management to Wessen Indoor Tennis Club. Chris began his professional career providing training to both juniors and adults at Franklin Athletic Club. He moved on to become Owner and General Manager of Square Lake Athletic Club where he recreated the organization, substantially improving both the facility and tennis programming. Under his guidance, both the Detroit Free Press and Hour Magazine honored Square Lake as “Best of Detroit.” In addition to redefining Square Lake, Chris has developed junior and adult training programs for numerous area clubs including Birmingham Racquet Club and Bloomfield Open Hunt Indoor Tennis Club. In addition to his activities as co-owner/operator of Wessen ITC, Chris is proud to be head coach of the Bloomfield Hills High School Girls’ Varsity Tennis Team.